For example it is needed to explain to users why "Goals" are so important. So when people click on a Goals page, the first time, they would see a notification message explaining this, with links and video. It will be also valuable for people browsing our Matomo demo so they can learn more about value of the product while browsing the demo. A user could close the notification so it does not display again. Ideally we would do this for all major pages, but we can add them slowly. @mattab What about adding a help icon to the right of the currently selected page in the left menu? 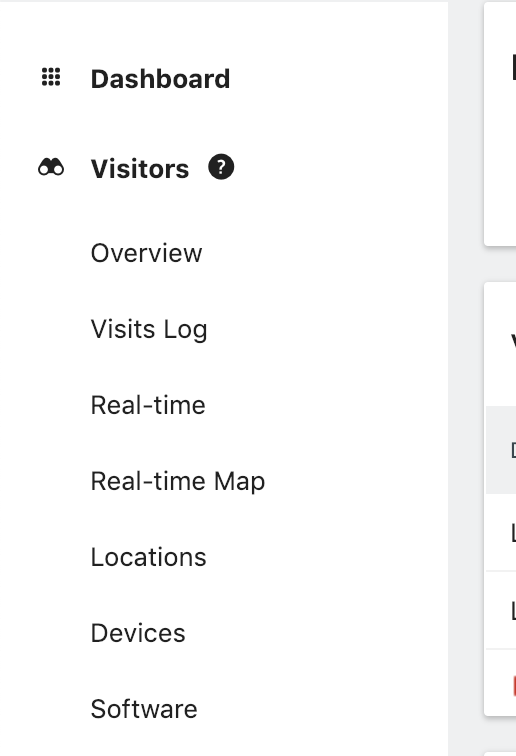 When a user clicks on it, the notification in the page would appear. This could work @diosmosis - would like to see this prototyped/implemented to see whether it works? I think we should specify in the Menu classes/etc. what the help text should be, and probably show it for some categories (like Goals) and some subcategories (like Transitions). Think the font color could be grey too. Thoughts? @mattab can you tell me your thoughts? Hard to say, but could work. Could you maybe implement it like this and we can try it out on demo2 or so?